Are you a GP or specialist thinking about setting up your own medical practice? Taking the next step into independent practice enables you to achieve your lifestyle and wealth-building goals. However, making the leap from employment to running your own business can be daunting, and you’ll want to make sure you’re ready and supported by expert advice. Use these insights to review the core issues you’ll need to cover in your business plan. Starting your own practice is a major commitment, as it is with any type of new business. Taking time to review the implications and the uncertainties of running your own business is vital before making a decision. Being prepared mentally involves checking your personal motivations for wanting to work for yourself. Excellent reasons are higher income, wealth building, and better lifestyle. Be realistic about the challenges of running your own business, rather than being overly optimistic. You’re qualified as a doctor, but are you qualified to run a business? You should at least be prepared to develop the new skills you’ll need to manage the financial aspects of your practice. Human resource management, business planning, cash flow, and budgeting are critical skills. While you won’t need to become an expert in these fields, you’ll need to know enough about them to work with experts – accountants, bookkeepers, and recruitment personnel. Get used to the idea your operating environment will constantly change when you’re in business, and consider how these will affect your internal processes and perhaps your bottom line. Legislation, tax regulations, economic environment, consumer sentiment, and technology are some of the major factors impacting how you’ll work. Often they’ll mean new challenges to work through, and you’ll need to be flexible enough with your practice to change with the operating environment. Whether it’s retirement or a possible career change down the road, have an exit strategy in mind. You might have plans to sell your practice, shut it down, or sell your share to partners. Knowing your exit strategy well in advance gives you plenty of time to plan ahead so you can exit when and how you want to. Finding a suitable location is one of the most important things you’ll need to do. You’ll likely need to conduct in-depth research before settling on the right location. Things to consider are local competitors, sufficient local demand or proximity to patients, and accessibility. Review local public transport, parking, and other accessibility factors. Complementary facilities such as pathology services, allied health, and being close to a public hospital could help you attract more patients. Consider also the potential for future growth. If the local population and potential demand is likely to rise within the next five years, can the site accommodate the growth? If you intend to take on partners, will the property allow you to do so? The Royal Australian College of General Practitioners general practice management toolkit outlines two general approaches doctors might take. Flexible – If you’re flexible, you might be open to moving to an area where there’s underserved demand. This could make it easier for your medical practice to get up and running soon, with plenty of local demand to drive your business. 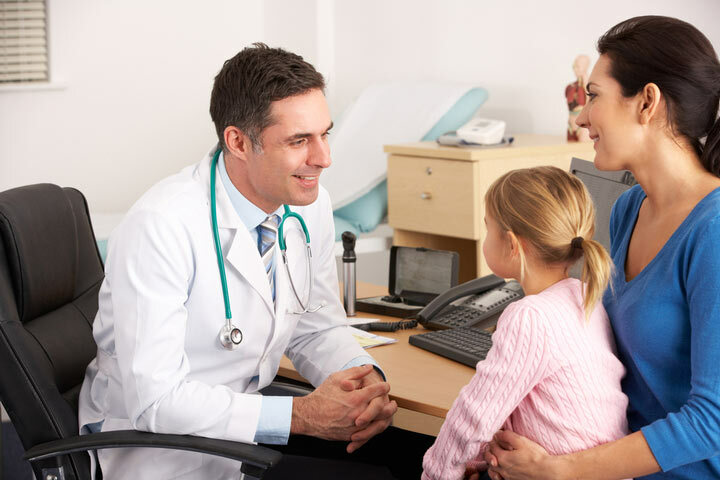 Established area – If you’re looking to set up practice in an established area for family and schooling reasons, it could be a challenge to find a large patient base as it’s likely these areas are already being served. However, doing research could help you identify special niches not yet adequately served, especially if you’re a specialist. The property itself should accommodate any décor or fit-outs you need to carry out. Make sure it’s spacious enough for your support staff, as well as for your future expansion plans. The property itself should be approved for operation as a medical practice. If in doubt, check with the local council. A business plan sets out how you intend to set up and run your practice, and it gives you a basis for measuring your success against stated goals. If you’re applying for financing, you’ll need to prove your business plan to the lender. Your business plan should cover everything from establishment costs and financing to marketing and targeted patient base. Look into lease, equipment, and salary rates to find out how much it will cost to set up your business. Some estimates suggest as little as $30,000 is needed for a from-scratch practice in a regional area. In metropolitan areas it could cost you anywhere from $200,000 to $500,000. Work out how much it costs and decide how you’ll finance it, whether it’s through savings, a loan, or some other financing option. Work with your accountant to factor in tax issues to your business plan. Legislative changes such as the small business tax discount, small business turnover threshold, and simplification of business tax law can impact the bottom line for your business. Incorporating these into your plan lets you prepare in advance for these changes. Cash flow is a core concern or any type of business, and you’ll want to sustain healthy cash flow especially at the start, when you’re building up your patient base. If you’re financing your practice with a loan, make sure your repayments are structured to reflect your cash flow projections. For example, you might want to minimise repayments in the first six months to ensure you have sufficient cash to keep your practice operational. Your fee schedule will help you with income projections and revenue planning. Bringing in other doctors would help you cover your expenses, but it also means you have more doctors available to service patients in the area. Generally contracting general practitioners would pay you, the owner, 30% of their income to cover costs. Whether you need to bring in other doctors should be considered after you discuss your financial plan with an advisor. You can buy into an existing practice or establish your own. A new practice is likely to be the cheaper of the two options, with the added advantage of giving you sole discretion on everything from décor to practice culture. You’ll probably be taking out financing to cover equipment, lease, and business running costs. If you’re leasing, you might be able to negotiate a first right of refusal when your lease term is up in three or five years time. You might be able to take out a loan to buy the property in your own name, while your company pays you rent to cover the mortgage. Consider different leasing and purchasing options as these can help you with better planning. It’s more likely than not you’ll want to fit-out the site. Find fit-out specialists with experience in medical practices, and make sure you get multiple quotes before proceeding. The design will be permanent, so take time to decide the look you want before you commit. Outline your staffing needs in your business plan, along with processes, technology tools, and methods for scaling up. Having the right IT infrastructure in place helps you manage patient information according to compliance requirements. It can also help you track payments, cash flow, and staff payroll more effectively. Running a business means higher risk (and reward), so consider taking out personal insurance. These can include income protection, accident, and life insurance in addition to the business insurance you need to have for your practice. You’ll need to have medical indemnity insurance and public liability insurance. In addition, establish policies for staff within your practice to manage key risks. Training, staff behaviour, patient privacy, equipment maintenance, and information handling are all possible areas for addressing risk. Whether it’s through referrals, online marketing, or advertising, determine how you’ll approach marketing and set aside a suitable budget for it. Consider local competitors, foot traffic, and advertising regulations when developing your marketing plan. Practicing medicine is a regulated profession so you’ll want to have all your compliance and paperwork in order before your practice is open for business. Both specialists and GPs need to have a Medicare provider number to work in private practice. The number allows for your patients to claim rebates for services you provide through the Medicare program. You’ll need to let the AHPRA know about the changes in your practice details. You’ll need to have an Australian Business Number (ABN) and you might need to register for GST. Contact the Australian Tax Office about what you need to do to start in private practice. Talking to a knowledgeable accountant is highly recommended as your accountant can give you essential advice about structuring your practice optimally and how you can optimise tax outcomes. While accreditation is voluntary, most general practices in Australia have accreditation. If you get accredited, you can access the government’s Practice Incentives Program. This gives you access to various incentives to help you provide better care to patients. Some of the experts you should consult include accountants, business advisors, and financial planners. A practice manager can look after everything from HR to business development. A commercial lawyer can give you advice on structuring your practice to minimise tax. As your medical practice grows, your team of advisors will become trusted partners to help you along the way. Running your own medical practice gives you the freedom to help patients on your own terms. As with any type of business, establishing your own medical practice requires detailed planning. By working with trusted advisors, you can grow a successful practice reflective of your personal and professional goals. MEDIQ Financial is a trusted provider of accounting, investment, legal, insurance and finance services to medical professionals. We specialise in assisting doctors, so we’re well-placed to support you throughout the entire financial life cycle and to help you achieve your wealth-building goals. Contact us for a discussion today about how we can help you establish your own medical practice.